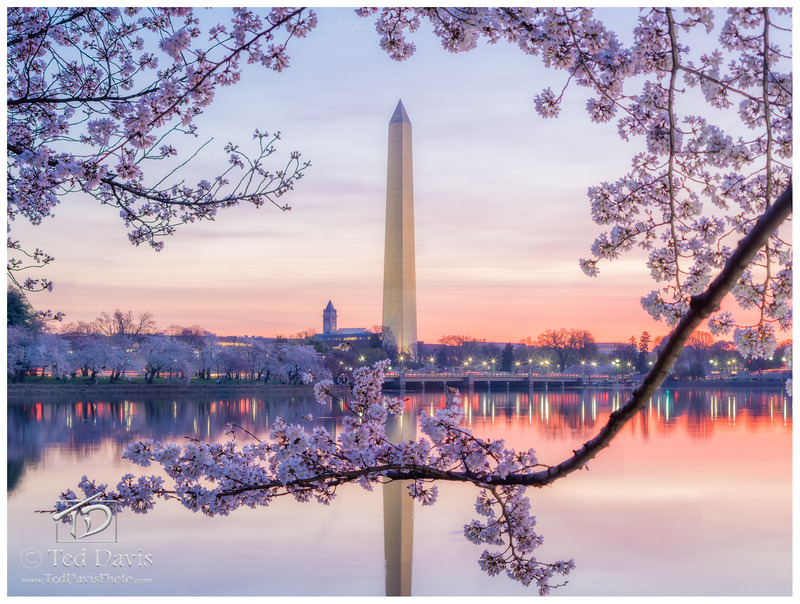 The Cherry Blossoms in Washington, DC are a marvelous sight to behold. Wispy layers of clouds hugged the horizon as the sun began to rise a few days before peak bloom, creating a fantastic scene to photograph. Searching for the best way to frame the Washington Monument, I stumbled on this small window looking towards the heart of DC. Centering the Monument and Smithsonian Castle, I patiently waited for the breeze to calm before snapping the shot I call “Washington”. Photo © copyright by Ted Davis.